SprayAway’s unique Soft Wash process is the safest, most thorough, and most economical way to clean virtually any exterior surface. Pressure washing, while it should never be used on your home or business, is the perfect tool for some cleaning. Our Soft Wash process cleans roofs gently, without harming the roof and leaves it looking like new again! SprayAway SoftWash’s unique SoftWash process is the safest, most thorough, and most economical way to clean your home! SprayAway SoftWash has been the industry leader in soft washing for more than 20 years. 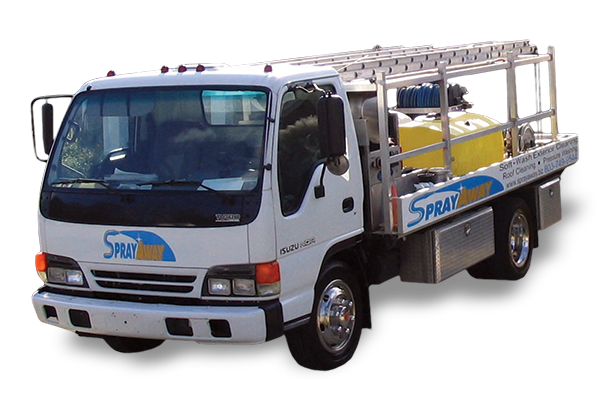 Using our patented process and cleaners, SprayAway SoftWash has safely cleaned thousands of homes and businesses! Our softwash cleaning process is the safest cleaning process for vinyl, stucco, wood, brick, masonite, decks and gutters! gets great results every time!